Melissa N. Shaw is a PhD candidate in Queen’s University’s history department. 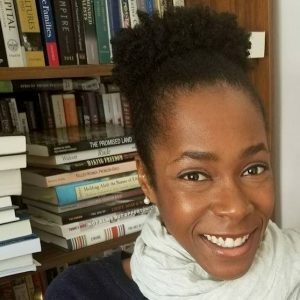 Her dissertation, “Blackness and British “Fair Play”: Burgeoning Black Social Activism in Ontario and its Responses to the Canadian Colour Line, 1919-1939,” explores the symbiotic relationship between anti-Black racisms in Canada and the rise of Black Canadian activism in Ontario. Melissa’s work has appeared in Histoire sociale/Social History and Paul E. Lovejoy and Vanessa S. Oliveira’s edited volume: Slavery, Memory, Citizenship. Follow her on Twitter at @MelissaNShaw.